Drones and aircraft equipped with infrared and other technology are helping California fire crews by offering a real-time bird's-eye view — even through smoke and flame — of what's happening on the ground. 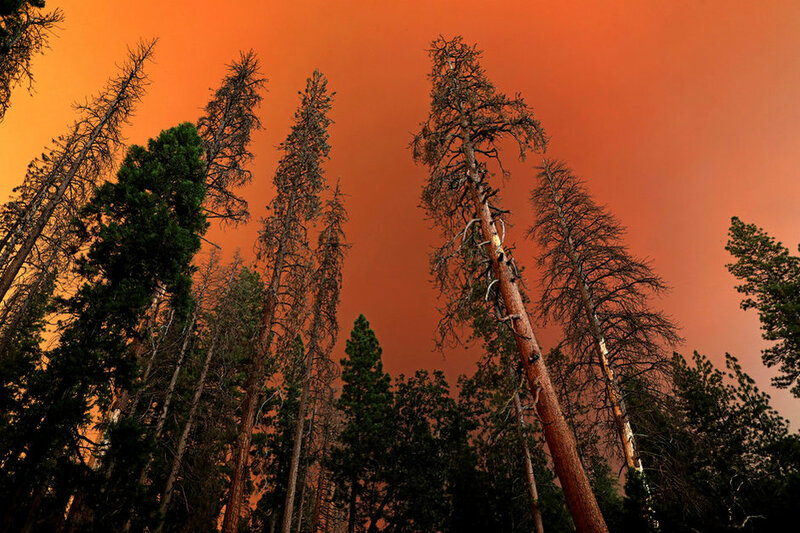 WAWONA — The smoke creeping up from a steep hillside near this small California community 27 miles south of Yosemite Valley was a sure sign that a spot fire was burning, hidden beneath the tall pine trees. “For firefighting, it’s a game-changer, no doubt. And it’s only going to get better,” said Damian Guilliani, situation unit leader on California Interagency Incident Management Team 4, which helped battle the Ferguson Fire. Since then, the Guard’s 163d Reconnaissance Wing has helped fight more than 20 wildland fires. Leaders anticipate that in coming fire seasons, that process will only become more efficient. Instead of focusing on fighting the fire with a perilous frontal assault, crews have worked for days to burn a boundary around the fire to keep it from reaching farther into Yosemite National Park and toward the small communities along Highway 41. Along with 33 bulldozers, dozens of hotshot crew members have journeyed miles through the forest to carve out a fire line against the spread of flames. Usually a crew — often dropped off by helicopters into the forest — can construct a mile of line in a setting like the Sierra National Forest in one day. Because of the number of trees killed by drought and a bark beetle infestation that have fallen throughout the region, they’ve been lucky to construct one-third of a mile of fire line, officials said.